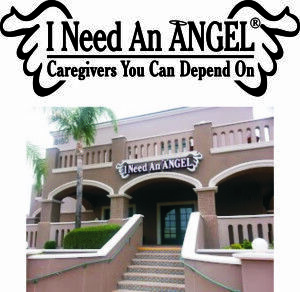 Welcome to I Need An Angel, an Award Winning Homecare service at home, hospital or facility. Doctors, professionals & families refer us 1st, because “Love is the first order of business with us.” Since 2004, Voted #1 home health care agency by Ranking AZ! We support individuals, increase independence, and provide creative solutions to stay safe and comfortable any place you call home. Our extensive employee application process is unmatched, anywhere! You get the best! We are a professional extension of your family and we strive to be recognized as the leader in this industry for “Caregivers You Can Depend On”. Our focus is on reducing anxiety with creative solutions. As your advocate, you have never dealt with a company that is “there for you”, like we are! Custom services are available 24/7. Personalized service includes assistance with housekeeping and meals, hygiene and mobility, doctor appointments, errands and companionship including a lunch and movie friend. We can even assist when you need to move from your home, or you just want a haircut, pedicure, any wellness session or a Doctor/Nurse visit at home! Backup Plan available too, “Because You Never Know”. Learn about our, as needed, Backup Plan. Services Available Valley Wide. Bonded & Insured. Call Today (480) 951-4083 or sign up and get our Insiders Secrets to make an informed decision. I Need An Angel started over 13 years ago because the industry was missing something. Experience showed other companies were treating Caregivers (employees) like an assembly line and that doesn’t create a good situation. 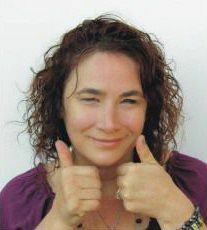 Still today, 8 out of 10 clients join I Need An Angel because they could NOT depend on other providers. what to tell you”. What is YOUR Time, Energy and Money Worth to You? Sometimes we try to prepare ourselves but we can never really know what will be involved. We are never prepared for the learning experience we receive in such a short time and the roller-coaster emotions we will go through. I know. I’ve been there. Read My Story Here. We offer a supportive environment. It is amazing to watch a Caregiver transform the attitude of someone who has lost some of their independence and freedom. We are in contact with the client, the family, and the Caregiver so we know we are exceeding everyone’s expectations. We know every company says they are the best. What we can tell you is, that it is important to us, to do a great job. We provide qualified, reliable, consistent, compassionate, and professional service. One to one personal focus on what you really want! Hourly, Live-In, Part Time, Full Time, All The Time, Sometimes, As Needed, Days, Nights, Weekends, & Holiday’s. We Are Here For You! HCSB grants the A+ rating only to home care agencies that meet and adhere to a stringent code of standards and ethics. I Need An Angel, Inc. – has been rated by your families as The Best of In Home Care in Scottsdale 2016 and 2017.